Allied Mobility is the leading wheelchair accessible vehicles specialist for the UK and Ireland. We supply a wide range of wheelchair accessible cars, MPVs and minibus conversions. As a Motability Premier Partner, we offer a unique selection of wheelchair cars to private individuals and families. Our larger wheelchair accessible vehicles (WAVs) are also popular with social and community transport providers. All of our wheelchair accessible vehicles are available to buy, rent or via the Motability Scheme. We manufacture six different WAVs; the Peugeot Horizon™, Ford Independence™, Ford Freedom™, Volkswagen Vista™, Peugeot Impulse™ and the Peugeot Spirit™. Each vehicle features an easy to use, lightweight wheelchair ramp or electric tail lift (in the case of the Peugeot Spirit™). Ranging from small to medium WAVs, we offer free, home demonstrations to ensure you find a vehicle to suit your needs. Wheelchair accessible vehicles can make a huge difference to your lifestyle. Literally thousands of disabled people have benefited from the chance to have their own wheelchair vehicle, offering new freedom and independence to individuals and their families. Alongside the GB Speedway Team, we are also proud to sponsor Aaron Morgan, of AM Racing. Aaron is the only disabled racing driver in the BMW Compact Cup, battling alongside able-bodied competitors. Our parent company, Allied Vehicles Group, is the main sponsor of the exciting Glasgow Tigers Speedway Team (winners of the 2016 Knockout Cup). While our sister company, Mobility Solutions supports the players of Glasgow Rocks Wheelchair Basketball. Ronney is a cosmetics brand from Great Britain. Ronney branded products are the quintessence of English style, where the inspiration for us was an individual and slightly eccentric array straight from the streets of London. Offering professional cosmetics and accessories, all of our products are made with impeccable quality. The Ronney brand represents professionalism and unquestionable quality at an affordable price. ATPI Sports Events is one of the most well-respected sports travel and events brands in the world. With a long track record in the Olympic Games, Football, Running, Sailing and more, ATPI is the sports specialist of choice for many sports bodies, organising committees and corporate businesses. ATPI Sports Events has a thorough understanding of the industry and complexities within it, and offers support via dedicated account managers and specialist teams, 24/7, to ensure our clients focus is on the event in hand. In turn, we are assisted by innovative technology to ensure complete visibility of traveller location and full transparency of costs. Uncompromising in our pursuit of reflection perfection. With everything we do, we aim to be the very best and because of this we think very differently. Our vehicle care products are made in the UK, first and foremost user-friendly, scientifically developed and incredible value. The products deliver quick and professional results every single time, even for amateur users and if you don’t agree we will give you your Money Back. Surely you will want to try some? Your car can be the lifeblood of your family, at the centre of all activity, a necessity for work and leisure. We don’t believe that a Head Gasket Failure should feel like the end of the world for you and signal end of life for the car. Steel Seal is a credible, viable alternative to costly mechanical repairs, used the world over, if you just can’t afford to repair it, can’t get the parts, or the value of your car means spending £800+ on it just does not make sense. Steel Seal can be your saviour, it comes with a money back guarantee so in the very unlikely event it doesn’t work you won’t be any further out of pocket and we are at the end of the phone, “virtually” holding your hand to guide you through it. Manufactured in Stoke-on-Trent, FUCHS Silkolene is a truly global brand sold in over 50 countries with over 30 years R&D expertise. FUCHS Silkolene products are used, approved and demanded by leading professional race teams including Speedway, MotoGP, World Superbikes, British Superbikes, Motocross and Karting. Developed using the latest lubricant technologies our products offer users measurable performance improvements. Over the last few years our products have developed to form the most comprehensive 100% dedicated Motorcycle range. The development of our market-leading XP Technology, offers increased fuel economy, reduced oil consumption, increased API specs and enhanced BHP across the Pro4 and Comp4 range. FUCHS Silkolene are proud sponsors of the GB Speedway Team. Luton, Box Trucks, Vans, Curtain Sides, HGVs, Refrigerated, Dropsides, Tippers, MPVs, Cars, Accessible and Welfare. Poultec offers riders the chance to learn all aspects of becoming a professional Speedway rider. Students are educated on subjects such as physical fitness training, nutrition, psychology, bike preparation, and business studies. We run this programme as an alternative to college once students have left high school. We give students the opportunity to learn the speedway qualification alongside an engineering qualification therefore giving riders options later in life. 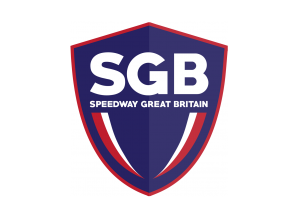 We are happy to be a partner to the GB Speedway Team and wish the team every success and hope we can unearth some future GB stars from our programmes. Based in Manchester, MediaCo is a multi-accredited, customer-focused and high-quality driven Large Graphics, Display and Events Specialist. We offer a flexible and quality controlled in-house service from artworking, large format printing, cutting, finishing to installation and logistics for all events, exhibitions, retail, theatres, museums and stadiums. All our graphics are applicable to floors, walls, buildings, interior, vehicles, boats, truss structures and ceilings. You won't hear "That's not possible" when you speak to MediaCo, you'll hear "Why not! ", even if it leads to a bit of head scratching afterwards. We pride ourselves on being innovators, delivering some of the most advanced digital imaging technology available and enjoying strong, long-term relationships with customers just like you, who work with us because they think like us and know that as well as being experts in our field, we are also dependable, consistent and focused on excellence. Teng Tools have been supplying technicians in industry and the automotive trade for over 30 years. Today the range includes over 3,500 items and is sold in over 40 countries around the world including Europe, Africa, Australasia and America. Our association with motor sport and particularly speedway is well known with nearly all the top riders and teams choosing to use Teng Tools. Central Wheel Components (CWC) are celebrating 5 generations of the same family owning and running the Company over the past 3 Centuries. 2017 saw the company celebrate its 120th anniversary. CWC may not have invented the wheel, but we have built and restored it many times since its inception. In fact, since we started in 1897, we’ve built motorcycle wheels for every motorcycle - from Adler to Zundapp, with bikes named with every letter of the alphabet in-between. We currently produce all the spokes for Norton Motorcycles and we rebuild all the spoked wheels for The National Motorcycle Museum and Sammy Miller Museum. Both museums use CWC because of their requirement for the highest quality workmanship. Until 2007, when they relocated their cruiser factory to Thailand, we supplied Triumph Motorcycles with up to a thousand spoked wheels a week. With 120 years of trading under our belt, we have amassed a vast amount of knowledge and expertise and consider no job too small or too specialised for our skilled workforce. The decision was made 10 years ago to enter the world of Motocross Wheel Building. From our earliest days in this sport it was evident that the potential was enormous. We established our own brand “SM Pro Wheels” and the rest is history. Today SM Pro Wheels are one of the leading suppliers of MX Wheels in the UK, Europe and further afield (USA, Canada and Australia). SM Pro produce wheel sets for KTM, Husky, Honda, Yahama, Kawasaki, Beta, Suzuki, Serco and GasGas. SM Pro also produce a range of wheels for the emerging Adventure market (BMW, KTM, Honda etc). 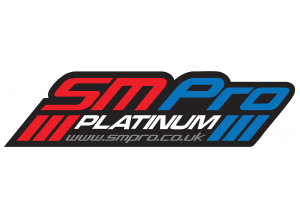 SM Pro also have an expanding market in the UK and European Speedway market and also produce wheel sets for the “new” electric offroad market (Alta and Kuberg). Danger UK go way back to 1985, when we produced our very first Heavy Duty Custom printed Motocross Graphics set. The product was the very first of it's kind and soon the word was out and everybody wanted their very own custom looking team bike. Since then Richard Thrower (Danger UK) has added many more products to the range, from Motocross graphics to Speedway bike cover, Kart graphics, One-Off custom Race Wear, Pit mats, Trophies, Ant-Shatter Car Reg plates and much more. All our products are made using slightly different methods to all of the copy cat companies that come along, giving us the edge over our growing competition. or join us on facebook where we constantly add new product images. If you prefer to shop using Ebay then check out lots of our products using our Ebay shop. Physique Management have supplied sports healthcare products to medical professionals, consumers and elite sports teams for over 20 years. With customers including Saracens, GB Hockey, Portsmouth FC and Wasps Netball, our products are trusted by professionals in the most demanding of situations. We’ve partnered with some of the world’s leading brands, medical professionals, clubs, and affiliates to develop a range of products to help keep you, your players or patients in top condition. Our extensive range includes taping & strapping, pitch side first aid, hot & cold therapy, massage essentials, complementary therapy and exercise products. Renowned for our quality, each of our products are batch tested and submitted to Informed-Sport for certification, ensuring that every product adheres to substances listed on the WADA (World Anti-Doping Agency) banned substance list. As a result, we have fast become the number one choice of sports nutrition for a number of elite athletes and professional sports teams around the world. 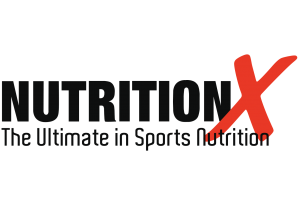 At Nutrition X, we’re not only dedicated to providing an exceptional product range, but to supporting athletic performance through education. Drawing on our vast level of knowledge and expertise, our expert team can work with you to complement and develop your sports nutrition strategy, from delivering celebrated food-first approach diet plans, to educational talks and presentations. Edge Composites is an ever evolving enterprise, that over the last 25 years has become a market leading supplier of top quality, innovative and progressive Composite parts. We have frequently been at the cutting edge of introducing new developments to Track Racing and been privileged to meet the supply demands of many top level riders and a number of World and European Champions in Speedway, Grass Track and Long Track disciplines, as well as teams and individuals in Trials and Moto X. We have enjoyed regular collaboration with Curtis Concept Design where combined skills and ingenuity has produced some radical prototypes and contributed to sustaining the necessary pace of change in how riders, teams and promoters approach the use of aesthetics to optimise advertising as well as use of composite technology to assist with weight saving and aerodynamics through our extensive use of composite materials in the sport. We have built a unique reputation for taking a progressive and pioneering approach and been pivotal in developing some iconic display bikes, often seen at Cardiff SGP events, that promote the benefits and opportunities for riders to enhance performance and image by utilising the range of Carbon Fibre parts we offer and continue to develop. We are excited to embrace the opportunity to contribute further to the future development of motorcycle motorsport by connecting as a supply partner for GB Speedway Team. Our energy and aptitude to sustain innovative concept development is stronger than ever and we are certain we can open up further avenues for riders in how they can harness the benefits of using composite on their machines, we look forward to providing for all riders needs in our expanding range of Carbon Fibre parts. The ACU has a major role in furthering the interests of motorcycle sport on a global basis. The ACU represents 23,000 licence holders, 3,000 volunteer Marshals and Officials, 550 members Clubs, divided into 20 centres and issues up to 4,000 motorcycle sport permits each year. Domestically, the ACU provides for all forms of motorcycle sport ranging from Road Racing to all disciplines of Off Road activity (Motocross, Trials, Enduro, Grass Track and Speedway) and has successfully organised world class events such as Moto GP, World Superbikes, the Isle of Man TT Races, the Motocross of Nations and Trials Des Nations. It sets the rules for the various aspects of the sport.It ensures fair play. It trains stewards, marshals and observers to ensure track safety.It sets, checks and revises safety standards, which ensure that motorcycle sport is an insurable commodity.It retains a body of medical advisors. It tracks the progess of national championships and contributes to the wider world of motorcycling that makes international competition happen.It is in constant contact with many Government departments to defend and develop the sport of Motorcycling.It remains independent from the many commercial pressures which inevitably shape and redirect our sport. The ACU aims to ensure that all people irrespective of their age, gender, disability, race, ethnic origin, creed, colour, social status or sexual orientation, have a genuine and equal opportunity to participate in motorcycle sport at levels in all roles. The ACU fully supports youth activity in all disciplines and through the ACU Academy, some of our young riders go on to become British, European and World Champions in their chosen sport. The British Speedway Promoters Association, the national governing body for Speedway activities in Great Britain. 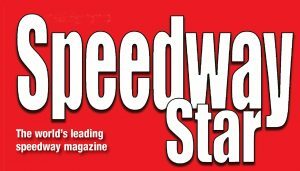 Speedway Star has been keeping the Speedway community up to speed for more than 60 years since it was first published in 1952. Covering all aspects of track racing around the globe, from conventional Speedway to Longtrack, Grasstrack and Ice Racing, the Star is on sale every Thursday and is a ‘must read’ for all fans, riders and officials.